Photograph of two adelie penguins on the waters edge. 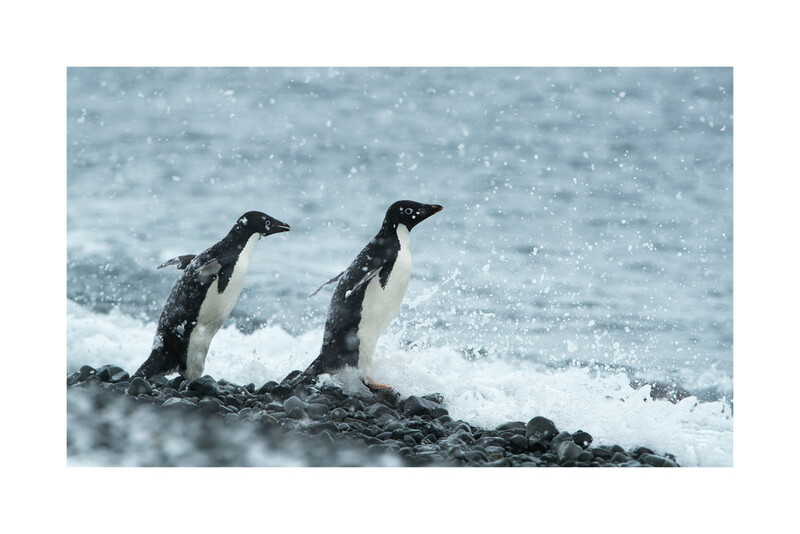 Adelie Penguins head to the ocean during a snow storm. Joinville Island, Antarctica.